The fragrance industry has been aggressively conducting fragrance research on humans with brainwave machines, and has been quietly marketing fragrance combinations geared to neurologically alter the mood and physiological functions of individuals. (8-9) An irony that apparently hasn't been grasped yet by the industry in spite of the large numbers of individuals who report adverse reactions - is that the neurological stimulation they are deliberately provoking can impair brain function, as noted below. This has raised concerns of manipulation by mind or mood control, and has drawn charges that fragrances are in reality being used as drugs to alter human functions. (8) These issues and other legal concerns, as well as the widespread use of fragrances on the general public in mass delivery systems will be addressed in part two of this article. pate, liverpaste, vermouth bitters, spiced beverages). In light of all the evidence, how does the fragrance industry justify the use of so many sensitizers in their products? This unaccountable industry's capacity for self-deception is exemplified by the claim of the Research Institute of Fragrance Materials (RIFM) that the sensitizing potential of certain fragrance allergens, such as cinnamic aldehyde, phenyl acetaldehyde and citral, can be diminished by the addition of other chemical fragrances. The very fact that RIFM recommends the use of limonene as a quenching agent is problematic. (29) Limonene is one of the key ingredients in the ASTM-E-981 study that showed serious respiratory and neurotoxic effects. (3) As noted by those researchers, limonene "has caused symptoms of the eye, skin, mouth, stomach, lung, and brain, including dizziness, incoordination, convulsions, and death." In addition it has been associated with causing kidney damage and lesions, pneumonia, and birth defects, and is suspected of causing cancer. (20) Even if it could "quench" dermatitis reactions, chronic exposure places the consumer at risk for a host of other problems. Only a few neurotoxic compounds have been removed from consumer products. In 1979, a study observed: “Hexachlorophene was included in many over-the-counter antiseptic and deodorant soaps for more than twenty years before the FDA decided to regulate its use. This action followed outbreaks of neurological disease in infants bathed in detergents containing hexachlorophene for the purpose of reducing staphylococcal infection. Zinc pyridinethione, a compound that produces a primary axonal degeneration in animals has been used as an effective antidandruff agent in shampoos for ten to fifteen years. AETT was in use for 22 years before toxicological testing revealed its insidious neurotoxic properties. The fragrance industry subsequently brought its research findings to the attention of the FDA and voluntarily withdrew the compound from fragrance formulations. There may be a need, however, to subject other ingredients in the preparation of cosmetic and cleansing products to rigorous scrutiny for neurotoxic properties. "(35) As noted earlier in this article, numerous other neurotoxic compounds found in perfume and consumer products have not been voluntarily withdrawn by industry. The increasing reports of adverse reactions to fragrances is not surprising in light of the lack of regulation and industry accountability, the absence of premarket full toxicity testing, and the emerging clinical and research evidence. 1. Cooper, S.D. ; Raymer, J.H. ; et al. "The Identification of Polar Organic Compounds Found in Consumer Products and their Toxicological Properties." Journal of Exposure Analysis and Environmental Epidemiology 5(1): 57-75 (1995). 2. Meggs, W.J. ; Dunn, K.A. ; et al. "Prevalence and Nature of Allergy and Chemical Sensitivity in a General Population." Archives of Environmental Health 51(4): 275-282 (1996). 3. Anderson, R.C. ; Anderson, J.H. "Acute Toxic Effects of Fragrance Products." Archives of Environmental Health 53(2): 138-146 (1998). 4. Miller, C.S. "Chemical Sensitivity: Symptom, Syndrome or Mechanism for Disease?" Toxicology 111: 69-86 (1996). 5. U.S. Consumer Product Safety Commission. Memorandum and Final Report from Interagency Agreement on Volatile Organic Chemical Emissions from Carpets. (see pages 60-62) CPSC-IAG-90-1256 (Aug. 13,1993) 125 pages. 6. Schaper, M. "Development of a Database for Sensory Irritants and Its Use in Establishing Occupational Exposure Limits." American lndustrial Hygiene Association Journal 54(9): 488-544 (1993). 7. Alarie, Y. "Testimony before the Subcommittee on Environment, Energy and Natural Resources. House of Representatives, Committee on Government Operations June 11,1993." 8. R.A. "Firms Push 'Aroma Therapy' to Treat Flat Fragrance Sales." Wall Street Journal (March 20,1986) 2 pages. 9. Goodwin, B. "Fragrances Offer Latest Clues in Ways to Combat Stress, Fatigue." Los Angeles Times (Aug. 23,1985) 4 pages. 10. Stone, J. "Cents and Sensibility." Discover Vol. 10 No.12 (Dec. 1989) 3 pages. 11. Duehring, C. "Carpet Part One: EPA Stalls and Industry Hedges While Consumers Remain at Risk." Informed Consent (Nov,/Dec. 1993)10 pages. 12. Hansen, M.K. ; Larsen, M.; et al. "Waterborne Paints. A Review of Their Chemistry and Toxicology and the Results of Determinations Made During Their Use." Scandinavian Journal of Work Environment and Health 13: 473-485 (1987). 13. Uhlig, T.; Merkenschlager, A.; et al. "Topographic Mapping of Brain Electrical Activity with Food-Induced Attention Deficit Hyperkinetic Disorder. European Journal of Pediatrics 156(7): 557-561(1997). 14. Dudley, D.L. "Chemical Toxicity: A Neurometric Study of Changes in the Auditory and Visual Cognitive Evoked Potential in Response to Olfaction." [Submitted for publication. The abstract of this article was published in Clinical Research 41(2): 383A (1993)]. 15. Lorig, T.S. ; Herman, K.B. ; et al. "EEG Activity During Administration of Low-Concentration Odors." Bulletin of the Psychonomic Society 28(5): 405-408 (1990). 16. Lorig, T.S. ; Huffman, E.; et al. "The Effects of Low Concentration Odors on EEG Activity and Behavior." Journal of Psychophysiology 5: 67-77(1991). 17. Dudley, D.L. "Olfactory Uptake and the Auditory and Visual Cognitive Evoked Potential, Rare: Olfactory Uptake and the Mapped Pattern Reversal Evoked Potential and the Mapped Visual Cognitive Evoked Potential, Rare." Clinical Research 41(2): 383A (1993). 18. Morrow, L.A.; Steinhauer, S.R. ; Condray, R. "Differential Associations of P300 Amplitude and Latency with Cognitive and Psychiatric Function in Solvent-Exposed Adults." The Journal of Neuropsychiatry and Clinical Neurosciences 8(4): 446-449 (1996). 19. Phone interview with neurotoxicologist and immunotoxicologist Gunnar Heuser, M.D., Ph.D., F.A.C.P., NeuroMed and NeuroTox Associates, Agoura Hills, CA. June 24, 1993. 20. Wilson, C.W. "Perfumes and Fragrances." 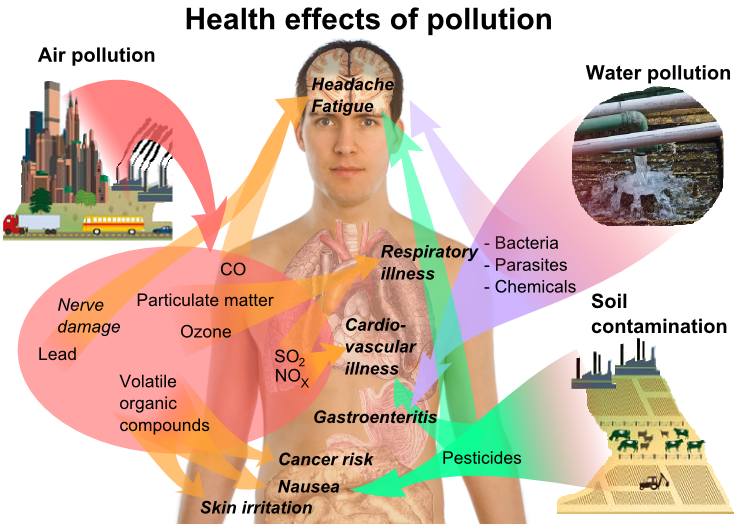 Chemical Exposure and Human Health. Jefferson, NC: McFarland & Company, Inc. (1993) 56 pages. 21. U.S. National Institute for Occupational Safety and Health, U.S. Dept. of Health and Human Services. Toxicology excerpts for 43 of the perfume ingredients listed by Chemical Exposure and Human Health (By C. Wilson, McFarland & Company, 1993). NIOSH Pocket Guide to Chemical Hazards (June 1994) 57 pages. 22. Meynadier, J.M. ; Meynadier, J.; et al. "Formes Cliniques: Des Manifestations Cutanees D'Allergie Aux Parfums." (French with English summary) Annales de Dermatologie et de Venereologie 113: 31-39(1986). 23. Givhan, R.D. "A Sniff Penalty: One Whiff Can Be Too Much for Those Who React to Compounds in Perfume." Detroit Free Press (March 18,1990) 1 page. 24. Shim, C.; Williams, Jr., M.H. "Effects of Odors in Asthma." American Journal of Medicine 80:18-22 (1986). 25. National Research Council, Commission on Life Sciences, Board on Environmental Studies and Toxicology, Committee on Biologic Markers, Subcommittee on Immunotoxicology. "Use of Biologic Markers in Controversial Areas of Environmental Health." In Biologic Markers in Immunotoxicology, Washington, DC: National Academy Press (1992) pp. 1-5,127-139,148. 26. Kumar, P.; Caradonna-Graham, V.M. ; et al. "Inhalation Challenge Effects of Perfume Scent Strips in Patients with Asthma." Ann. Allergy Asthma Immunol. 75(5): 429-433 (1995). 27. Schlueter, D.P. ; Sato, R.J.; et al. "Airway Response to Hair Spray in Normal Subjects and Subjects with Hyperactive Airways." Chest 75:543-548(1979). 28. Zuskin, E.; Bouhuys, A.; Beck, G. "Hairsprays and Lung Function" Lancet 2(8101): 1203 (1978). 29. DeGroot, A.C.; Frosch, P.J. "Adverse Reactions to Fragrances: A Clinical Review." Contact Dermatitis 36: 57-86 (1997). 30. Eriksson, N.E. ; Lowhagen, 0.; et al. "Flowers and Other Trigger Factors in Asthma and Rhinitis - An Inquiry Study." Allergy 42(5): 374-381(1987). 31. U.S. Committee on Science and Technology, Fuqua. Neurotoxins: At Home and the Workplace. Report to the Committee on Science and Technology, U.S. House of Representatives, Ninety-Ninth Congress, Second Session on June 1986. Washington DC: U.S. Government Printing Office (1989). 32. Rosenberg, N.L. "Neurotoxicology." In Hazardous Materials Toxicology: Clinical Principles of Environmental Health. Eds. J.B. Sullivan, Jr.; G.R. Kneger. Baltimore, MD: Williams & Wilkins (1992) pp. 145-153. 33. U.S. Congress, Office of Technology Assessment. "Summary, Policy Issues and Options for Congressional Action." In Neurotoxicity: Identifying and Controlling Poisons of the Nervous System OTA-BA-436 Washington, DC: U.S. Government Printing Office (Apr. 1990) pp. 3-40. 34. U.S. Congress, Office of Technology Assessment. "Chapter Two: Introduction." In Neurotoxicity: Identifying and Controlling Poisons of the Nervous System OTA-BA436 Washington, DC: U.S. Government Printing Office (Apr 1990) pp.43-59. 35. Spencer, P.S. ; Sterman, A.B. ; et al. "Neurotoxic Fragrances Produces Ceroid and Myelin Diseases." Science 204 (4393): 633-635 (1979).